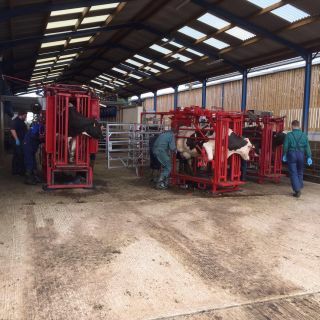 The 4 day courses provided by the Dairyland Hoof Care Institute UK are structured so that they can accommodate those that have never trimmed a cow’s foot before to experienced trimmers who wish to update their skills and knowledge. The training courses teach the Five Step Functional Hoof Trimming Method modified by Karl Burgi in Wisconsin, USA. This tried and tested method is an updated version of the original Toussaint Raven (‘Dutch’) method and has been adapted and updated for the modern high producing Holstein. The courses are unique in that not only is trimming with knives and nippers taught, but also grinders. On completion of the course attendees will have confidence with both routine and therapeutic trimming as well as the treatment of more complicated lesions including wall ulcers and toe necrosis. DAVID ROWE Primary Instructor and course leader. David has been running his own hoof trimming business since 1995 and is a full licence member of the NACFT, as well as sitting on the Committee. He attended the Dairyland Hoof Care Institute Technical Hoof Trimming Course in 2012 and as well as being Primary Instructor in the UK, he is also an Associate instructor for the Dairyland courses in the USA. ANDREW TYLER Associate Instructor. Andrew has been trimming full time since 1991 and involved in training since 2008. He is a full licence member of the NACFT and has served on the Committee since its formation in 2006. He is also an Assessor for NPTC City and Guilds. 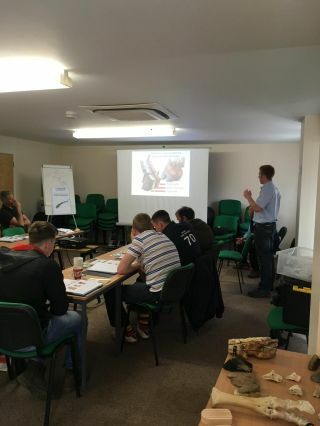 Andrew attended the Dairyland Hoof Care Institute Technical Hoof Trimming Course in 2013 and has since become an Associate Instructor in the UK. STEVEN CROWE Associate Instructor and veterinary surgeon. Steve graduated as a vet in 2010 and has since worked exclusively in farm animal practice. 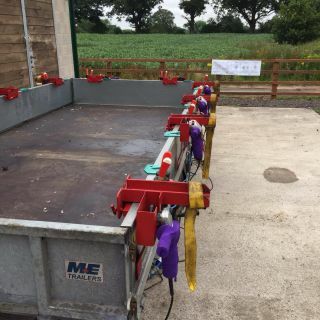 Steve is a mobility mentor for the AHDB Healthy Feet Programme and has attended various courses around the world in cattle hoof care including most recently the SAVE COWS symposium in Madison, Wisconsin.